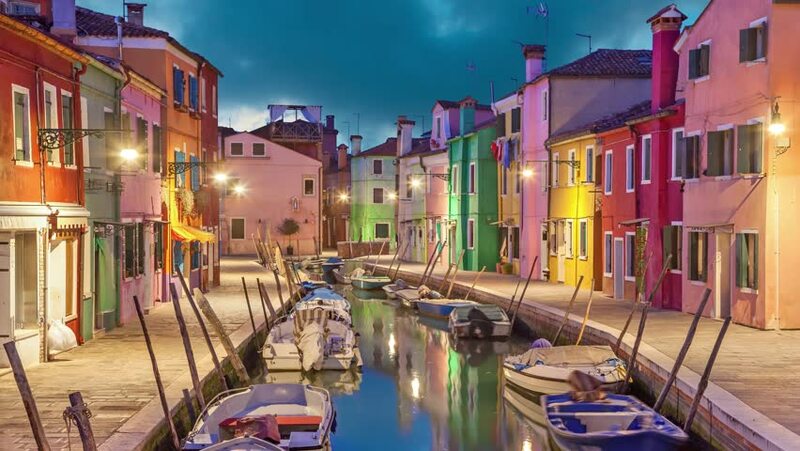 hd00:15VENICE, ITALY - FEBRUARY 2015: Burano exterior colorful buildings and water canal. Group of tourist walking around the canal and enjoying view of architecture and colors. hd00:10VENICE, ITALY - CIRCA 2013 Views from around the ancient Coastal Italian city of Venice.